If you’re thinking about buying a new home, congratulations — Buying real estate is an exciting adventure. However, the home buying experience doesn’t come without a few challenges. How much should you spend on a down payment? How much should you spend on monthly mortgage? How do you know you’re getting a good loan? And, are you really ready to make this long-term investment? Before spending all your time and money on purchasing real estate, consider learning the basics. Understanding the basics of buying a home will ensure that you get the home you want without falling into any traps. The following are a few standards to follow when shopping for real estate. Figure out your budget: One of the first things you will want to determine before buying the home is your budget. How much can you afford? While this might seem easy to figure out, it’s not. Many homeowners end up buying properties that are way over their budgets, which can eventually lead to defaulting on the loan. To avoid possible default or foreclosure, consider not spending more than 35 percent of your gross income on the mortgage. This includes property taxes and home insurance. 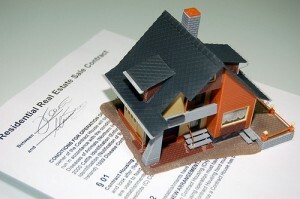 Many mortgage companies offer online budge calculators. Use one of these handy tools to calculate a monthly property payment you can afford. Determine your down payment. Once you’ve figured out your budget, you can begin saving for that hefty down payment. A down payment is a partial amount of the home’s price; it’s the amount you pay during the closing of the loan. The money you put down on buying a home is very important. In addition to showing lenders that you’re serious about buying the home, the down payment can influence the type of loan that is best for your needs and your interest rate. But how much should you put down? The amount of your down payment depends on the price of your home and the type of loan you’re going to get. Luckily, if you’ve determined your budget, you can estimate a down payment of around 5 percent to 20 percent of the price of the home. Learn the types of mortgages. When you know how much you want to spend and you have saved your down payment, it’s important to learn everything there is to know about mortgages so that you don’t get pressured into signing on a loan that doesn’t meet your needs. Learn the advantages and disadvantages of each type of loan and make sure to ask questions. August 23, 2016 in Home Improvement.